53mm x 40mm Centurion Heavy metal any event moulded Medal and Ribbon. Available in Gold, Silver and Bronze with a red/white/blue tri-coloured ribbon. Choose a 1 inch standard centre to suit your sport or event or a customised centre. Customised centres available at an additional charge. 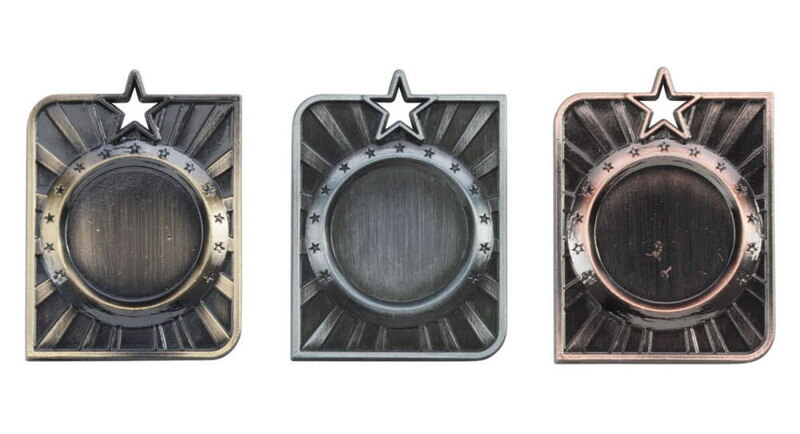 Other moulded sports medals in this design available.